Here at Evolv Health & Wellbeing Store, we’re preparing to bring you a whole series of special offers and great deals as part Spring Into Health Week. Spring Into Health is a new name for the annual Health Awareness Week that we’ve run for more than 15 years, and which always proved popular with regular customers and new ones too. 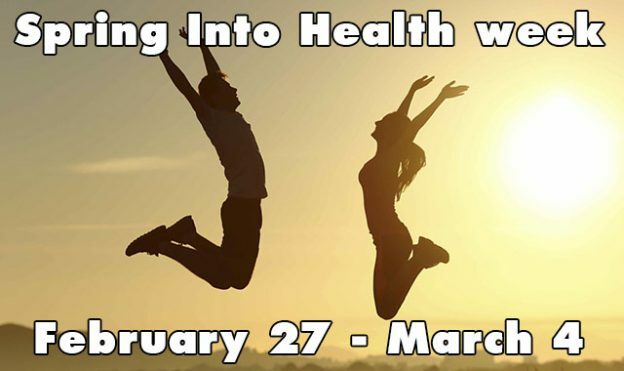 It will run from Monday February 27 to Saturday March 4, and will give you the opportunity to try new foods, sample products, learn all about natural supplements, and enjoy discounts of up to 50% on some of our most popular products. Please note that booking is essential for all these offers. As there are only limited spaces available, and we expect demand to be high, early booking is advised. Just call us at (053) 923 6009 to book an appointment. These discounts are for Monday only, so don’t miss out! These discounts are for Tuesday only, so don’t miss out! These discounts are for Wednesday only, so don’t miss out! Do you find it hard to lose weight? That could be due to sluggish lymphatic system or thyroid. For Wednesday only, we can do a test for just €5, to help find solutions. These discounts are for Thursday only, so don’t miss out! For Thursday only, we’re offering a Candida (yeast infection) and bacteria test for just €5. Call us at (053) 923 6009 to book an appointment. These discounts are for Friday only, so don’t miss out! For Friday only, we’ve a special 2 for 1 offer – an allergy test and nutritional consultation for the combined price of just €50. Call us at (053) 923 6009 to book an appointment. These discounts are for Saturday only, so don’t miss out!